Cleveland Barons 2001 Inaugural Season Schedule. Owned by me. 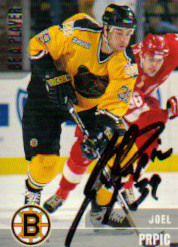 Joel's Rookie card autograped on December 30, 2001. Owned by me. Picture of the autograph I got on Joel's game worn jersey. 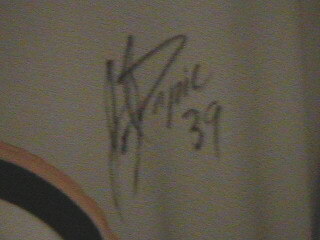 Autograph was obtained on December 30, 2001. 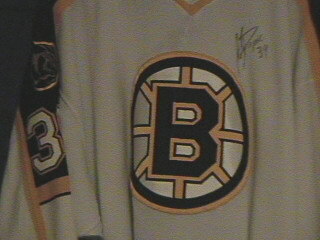 The jersey is one that he wore when he played with the Boston Bruins (pictured above and below).